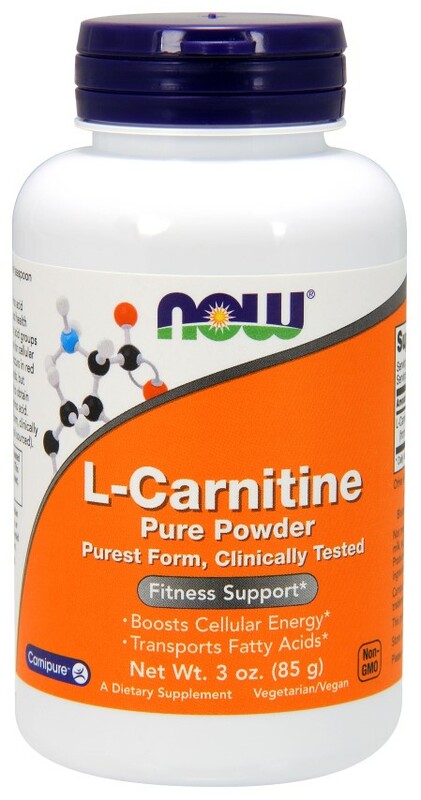 Now Foods L-Carnitine Pure Powder - 3 oz. Home > Amino Acids > Now Foods L-Carnitine Pure Powder - 3 oz. Suggested Usage: As a dietary supplement, take one or two 1/4 level teaspoons 1 to 2 times daily with or without meals. Consider taking this product in combination with NOW- Pantethine, CLA and Lecithin. Carnipure offers purest L-Carnitine and is a trademark of Lonza Ltd., Switzerland. L-Carnipure- is a registered trademark of Lonza, Ltd.